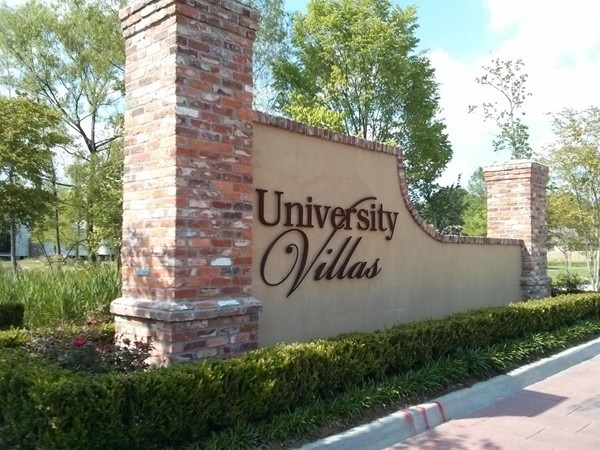 University Villas is the newest gated subdivision south of LSU located on Burbank. New homes range from 1,500’ LA and up, typically in the mid 1,650’LA range. Prices start at $199,900. Amenities include granite counters on all counters kitchen and bath, stainless appliances with gas range, varied high ceilings throughout, upscale lighting packages ,tile and wood flooring, carpet in bedrooms and closets, sod front and rear yards, landscaped front yards.You will be impressed with the quality and affordability of University Villas. There are some homes that are located on water frontage.